Rogue One is rated PG-13, the same as The Force Awakens. Our daughter is almost 10, and she has seen all Star Wars movies, so we are not worried about her. She knows when something scary is about to happen, and she covers her eyes if it is too much for her. The almost 5-year-old boy is more of a question. The little guy loves sci-fi action and superheroes. We obviously don’t let him watch “real” action, gore, or scary movies, but over the past few months he has been starting to watch fantasy action like the Avengers. And he is THRILLED! We talk about what happens and make sure he feels safe, and help him cover his eyes if it is needed. (This is in contrast to our daughter would never have been ready to see something like Rogue One at 5. At that age, she refused to watch Snow White, and Beauty and the Beast because they scared her too much.) But our son has different tastes, so we try to honor that. So I’ll let you know how it works out. After we have seen it, I will write a post about how appropriate it is for kids, and give you heads up of what (if anything) scared the kids in our group. 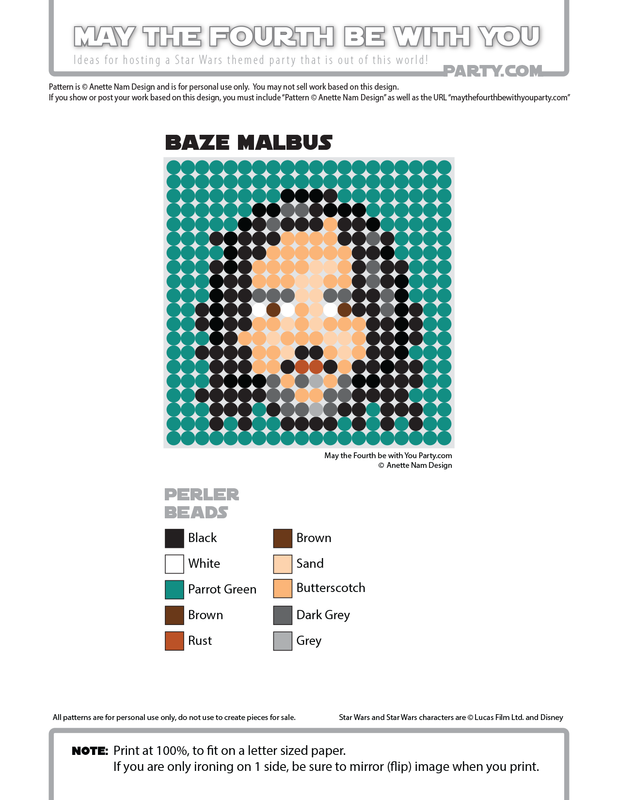 Baze Malbus is #70 in the Perler bead/cross stitch/crochet/knitting/Lego/pixel/mosaic pattern series.